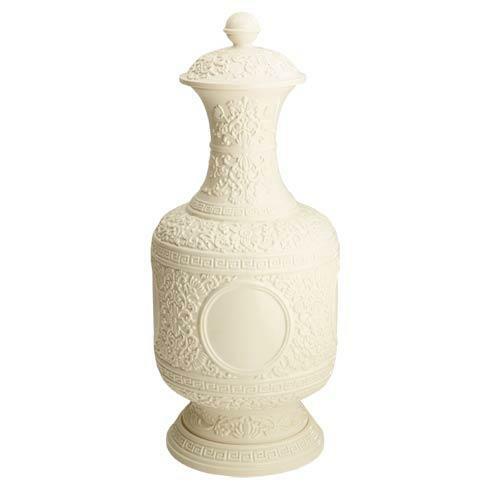 Mottahedeh ~ Medallion ~ Medallion Greek Key Vase With Cover, Price $463.00 in New York, NY from William-Wayne & Co.
Creamware Is A Refined Porcelain With A Clear Glaze Over A Pale Body, Known In France As Faience Fine. Mottahedeh'S Creamware Is Produced In Italy, With Intricate Detail And Elegant Design. This Elegant Vase Is A Fine Example Of The Process.